If you are on the fence and debating if the wrapper can make all that big of a difference in a cigar - I highly suggest you give these a shot. General Cigar brings the Artesanos de Tabaqueros - the second edition in the critically acclaimed Artesanos series from La Gloria Cubana to cigar smokers across the world. Created to showcase the artistry of La Gloria Cubana "Tabaqueros" (artisan cigar makers) cigars are a stunning embodiment of the time-honored craft of cigar making. Due to the high skill required to create these cigars, Benji Menendez personally selected an elite group of 18 master cigar rollers - representing the best of the best from El Credito Cigar Factory in the Dominican Republic. According to Debo Mukherjee, vice president of marketing for General Cigar, parent company of Artesanos de Tabaqueros, "This exciting collection represents the brain trust that is Team La Gloria Cubana. They pooled their collective talents to showcase the best that General Cigar has to offer: aged and proprietary tobacco, passionate and talented cigar makers and an unwavering commitment to innovation. 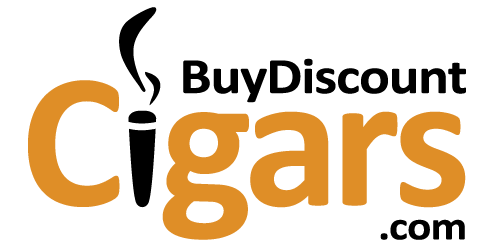 It is with pleasure that I commend Benji Menendez, Michael Giannini, Yuri Guillen and Rick Rodriguez on yet another exciting addition to our [ General Cigars ] portfolio of brands." Meticulously crafted to combine two different wrappers and two distinct tastes in one eye-catching cigar, Artesanos de Tabaqueros is a world-class smoke that opens to a rich and intriguing spice and ultimately reveals a depth of flavor that can only be achieved through a precise balance of unique and rare tobaccos. Hand selected from General Cigar's extensive library of Dominican and Honduran tobaccos, the cigars are dressed in both a supple Connecticut Shade and hearty Ecuadoran Sumatra wrapper. 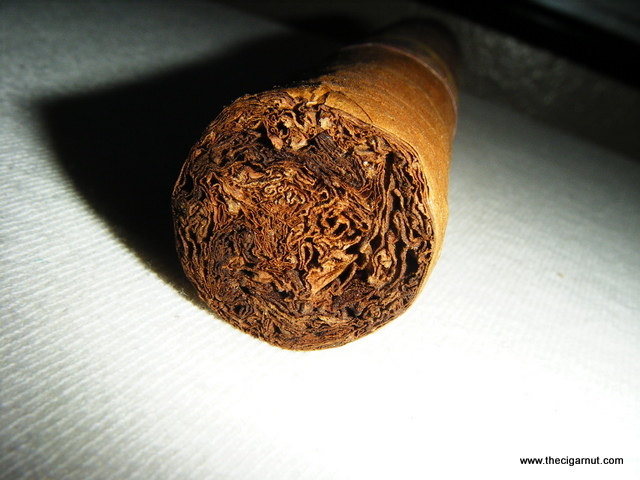 The blend is made solely of proprietary tobaccos, each aged five years or more. Presented with two different wood treatments to promote the unique tastes promised in each cigar, Artesanos de Tabaqueros cigars are protected in boxes of 25. The collection will debut in early April with three front marks, each named to according to its dimensions: 650 Robusto (6 x 50), 652 Belicoso (6 x 52) and 750 Churchill (7 x 50). Lets see if this new creation from some of the best rollers in the business delivers as well as they project. 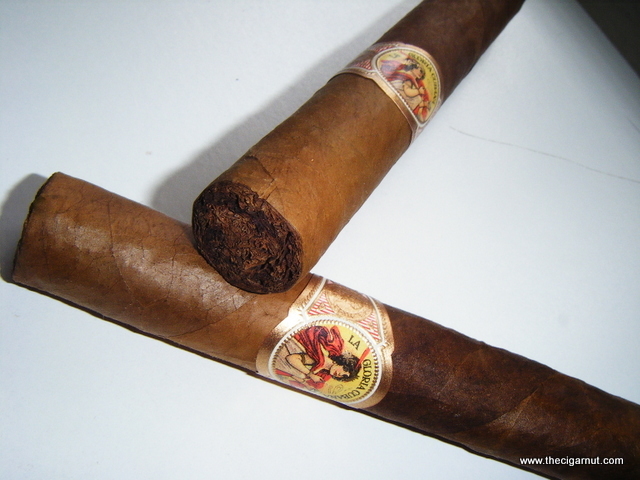 I was really caught off guard at how well these are made - not simply that it is a well made cigar but with the consideration of how much talent and skill is required to blend these two wrappers together - its beyond words. Evenly packed from head to foot, only the slightest bit of give near the foot. I was pretty impressed by how the two wrappers melted together – I was anticipating one to be laid over the other or butted up against one another with a slight gap, especially with the band over the transition I felt they were hiding something. This could not be further from the truth, the two leaves looked as if they had been a single leaf with different vein patterns! Exotic cigars of this caliber are great - although one may walk into it expecting a certain outcome. The smoke started off very creamy and smooth, the natural sweet tobacco flavor clearly in the front seat while an earthy tone held the background close. 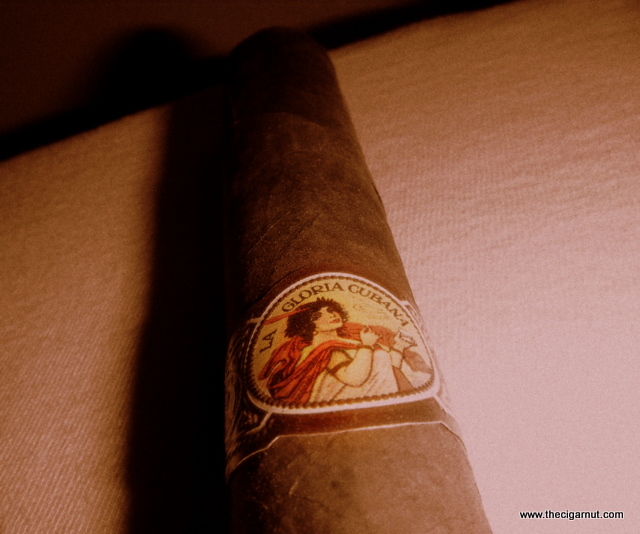 When the cigar started to pick up steam, about half way through the Connecticut portion a nice light leather sensation came out of no where and remained in the background adding a very enjoyable and unexpected note to the balance. I’m sure what your all wondering is how was the transition? Honestly – It was great haha! The light leather notes at the start changed to a more dark, roasted type leather falling right into a profile I prefer. Once I was within the last third, full bodied, a nice charred wood and coffee mix blended together covering up the leather flavors – which was nearly gone by this time although the sweet, natural tobacco flavor remained. If you are on the fence and debating if the wrapper can make all that big of a difference in a cigar - I highly suggest you give these a shot. Amazingly mild and creamy at the beginning, quickly moving towards the medium category and then transitioning into a true full flavor smoke. While these are newer to the market, this type of wrapper combination has already started to become a trend with other companies as well - make sure you get the originals at the best price from BuyDiscountCigar.com today!